Sridevi, often hailed as India's first female superstar passed away last night in Dubai. Sridevi, often hailed as India's first female superstar passed away last night in Dubai. She suffered a massive cardiac arrest, as mentioned by her brother-in-law Sanjay Kapoor. According to reports the actor was with her husband Boney Kapoor and younger daughter Khushi at the time of her death. She was 54. According to reports, Sanjay Kapoor confirmed that she died around 11:00 - 11:30 pm. The family was in Dubai to attend the wedding of her nephew Mohit Marwah. Members of the film industry, politicians and fans have poured messages of condolence and loss at the death of the iconic star. "Saddened by the untimely demise of noted actor Sridevi. She was a veteran of the film industry, whose long career included diverse roles and memorable performances. My thoughts are with her family and admirers in this hour of grief. May her soul rest in peace," tweeted PMO India. Actors took to Twitter to express their grief at the loss. "End of an era," Shekhar Kapur said, while Kamal Haasan, who was her co-star in Sadma says that the "Sadma lullaby haunts him now". It's a heart breaking news, can't even imagine in the worst of my dreams - World losses the best performer - Condolences to the Family. Sridevi had worked in Tamil, Telugu and Kannada movies before taking the Hindi movie industry by storm. Her acting career began as a child artist in the 1969 Tamil movie Thunaivan. Her first Hindi movie was Julie that was released in 1979. She took a break from acting around 1997. Although she featured in a couple of movies after that, her big comeback was the surprise hit English Vinglish in 2012. 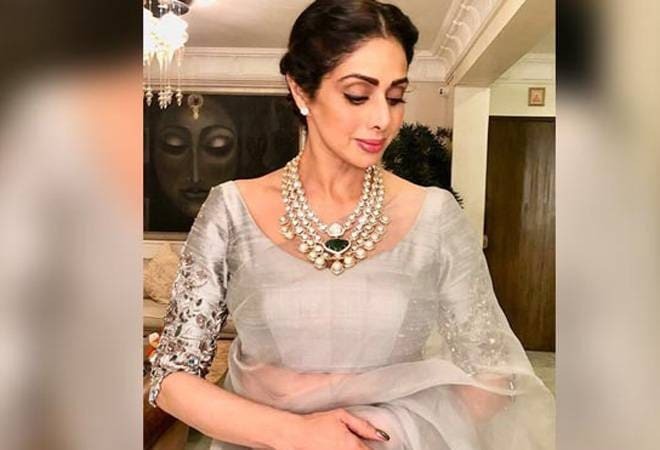 Sridevi is survived by Boney Kapoor and her daughters Jhanvi and Khushi. Her elder daughter is set to make her debut in Bollywood this year.